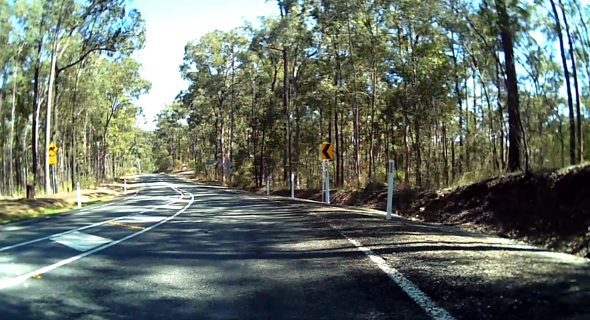 After ogling some maps of my local area using a popular mapping application, I spotted Bunya Road running off Eaton’s Crossing Road and remembered some of my riding buddies telling about the hill training they did there. 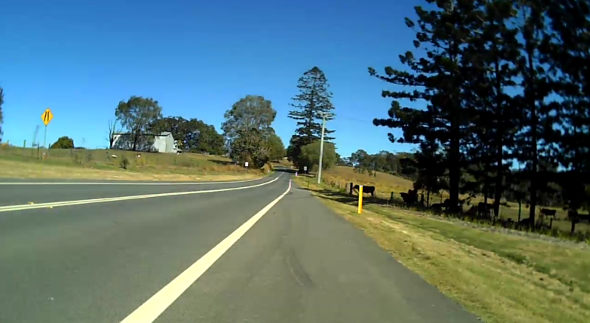 Although this would definitely not be a substantial road ride and I thought twice about whether or not I should risk agitating my back problems by riding hills, in the end curiosity and stubbornness got the better of me and Bunya Road is where I would be heading. So, on Sunday morning the rain had cleared from the night before leaving a crisp, clean feeling in the air and although I didn’t leave until the crack of 9am because I’m old and lazy, that gave plenty of time for the road to dry out so I managed to avoid a brown streak of road grim up my back and having to wash my bike when I got back. 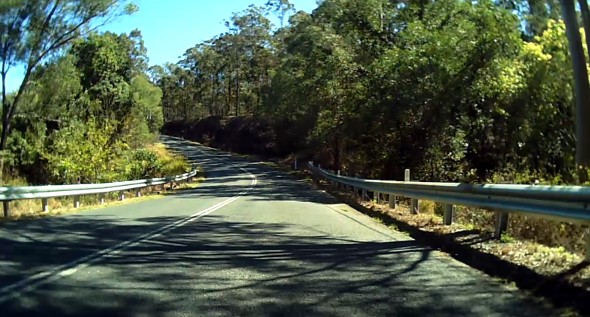 Gliding up Old Northern Road and into Eaton’s Crossing Road, the traffic was starting to build but it wasn’t long before I ducked off onto Bunya Road where things got positively rural and the motordom thinned down to a trickle. Some of the hills were challenging though I managed to talk myself out of my usual tactic which is to select the highest possible gear that doesn’t cause the bike to stop and mash like hell (what was that about an injured back?). 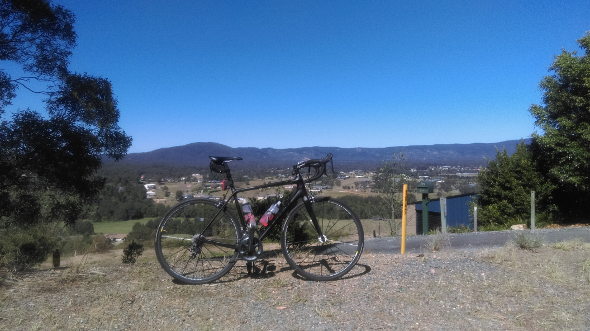 Instead, I went for high cadence, stood up and spun to the top which worked out well because it also allowed me spot some interesting looking roads and tracks off Bunya Road that would have me looking up more maps later to plan future mountain bike rides. Before too long I was back on Collins Road in the midst of suburbia and although it was a relatively short ride, it was enough and left me with enough fuel in the tank for a run to the supermarket on the shopping bike and trailer for the week’s groceries. 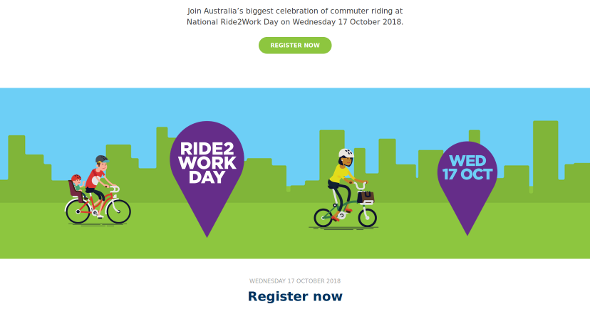 That’s all I have today but just a quick reminder to register for Ride2Work Day on Wednesday the 17th of October. It really helps the folks at Bicycle Network to get a better picture of where cycling is at in Australia and hopefully push for some more infrastructure. See if you can persuade/con/extort someone else to give it a go too. I will, of course, be partly feigning participation by riding to the train station on my Brompton and getting the train the rest of the way like I do most other days but that’s just kind of low performance shyster that I am. Next Next post: Dirtbags Ahoy!